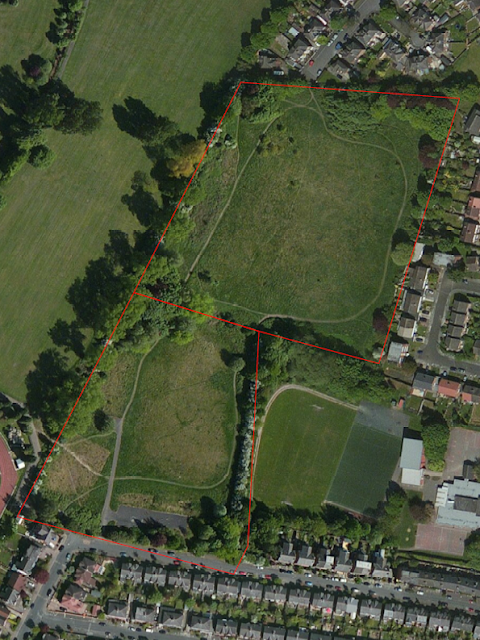 One of the sites for our recent MMU Campus BioBlitzes was Ryebank Fields, a 4.6 hectare site in Chorlton, which MMU has owned for many years. Here, Stu, along with Andrew Simpson, a local historian from Chorlton, and Lynsey Crellin an environmental consultant from The Environment Partnership (TEP), talk about the site, its history, and its current biodiversity value. Ryebank Fields: At the western border of the fields is a narrow belt of more mature woodland including large poplars and some patches of (protected) native bluebells (Photo: Chris Harrison). Some of the earliest historical recognition of the area comes from the tithe map of 1845, which shows the fields as ‘Hankinson’s Reap Acre’. The area around the fields was farmed as meadow and pasture which fits with the general geography of the area. 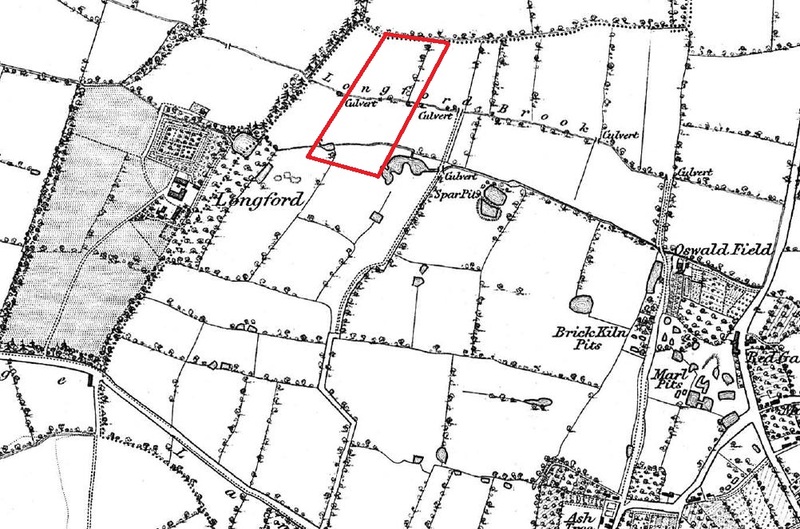 The OS map for 1933/4 again shows open land from Longford up to the Trafford Border and it appears that Ryebank Fields have never been developed. Extract from the Lancashire OS 6 inch 1st edition, 1841/53 map showing Ryebank fields (then Hankinson’s Reap Acre; rough position in red) in relation to the Longford estate, and Edge Lane to the South (Courtesy: Digital Archive Association). The whole area stretching west from Oswald Road was traditionally known as ‘the Isles’ and contained many pits which had been excavated from the 17th century for marl (lime used in agriculture) and clay. By the 20th Century, some of the pits had become quite extensive, and the newspapers during the wars carried stories of children drowning, events that are still just in living memory. Rare 19th Century photo looking out across the Isles towards Ryebank Fields and Longford Hall. 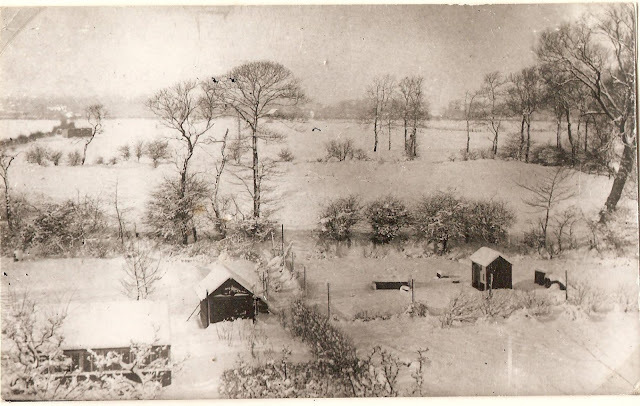 The photo was taken by Aaron Booth around 1880 from his house 'Sedge Lynn' where now stands the Co-operative Undertakers in Chorlton (Photo: courtesy of Miss Booth from the Lloyd Collection). 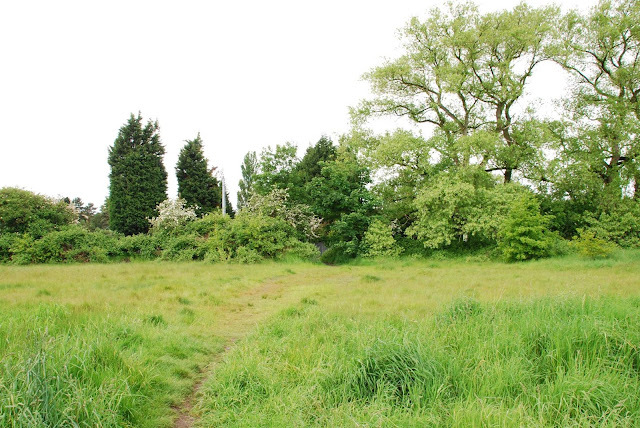 North of Longford Brook, which bisects Ryebank Fields, was a large clay pit with another pit to the South. Judging from the tramway marked on the 1930s OS map, this must have been worked as part of the brickworks which was in operation from the beginning of the 20th century until it closed in the 1950s. Original Ordnance Survey Revisions of 1932-1935 showing WW2 bomb damage 1940-1 (red circles = fire bombs; blue circles = high explosives). 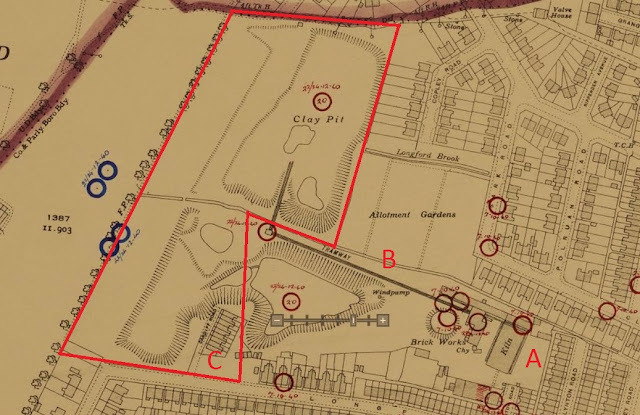 Shown are Ryebank Fields dominated by claypits, along with the brickworks (A) on what is now St John’s Primary School, and the tramway (B) linking the two. The cottages on Cardiff Road are also marked (C) – these houses and indeed the road itself did a complete disappearing act in the 1970s (see Andrew's blog here). Sometime after closure, the pits were filled, probably with rubble, and capped with top soil. You can see the differences in vegetation between the centre of the ‘south field’ and its edges in aerial photos of the site. Ryebank Road Playing Fields, to give them their official name, were used as a sports facility by MMU until 1996. The mosaic of habitats across the site provide a valuable resource for urban wildlife. 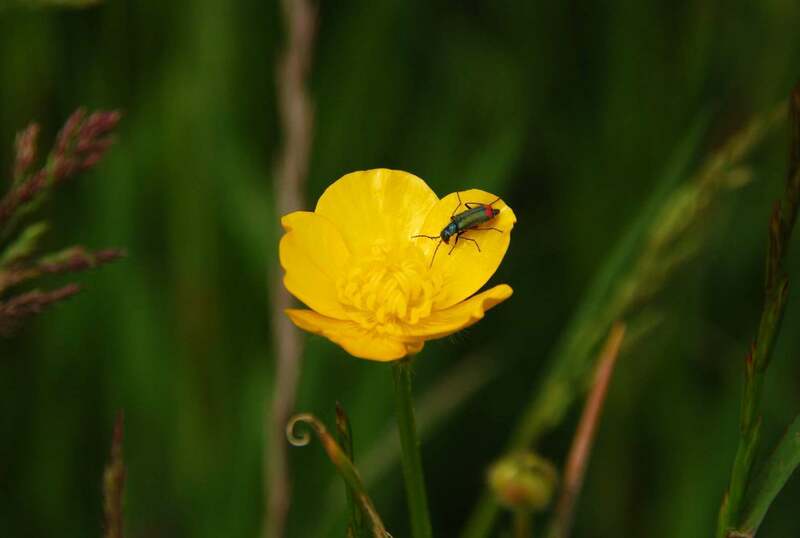 For example, the recent BioBlitz recorded 64 species of plant on the site. The fields are dominated by modified neutral grassland, with areas of ‘plantation’ woodland, scrub and tall ruderal herb, predominantly around the margins. 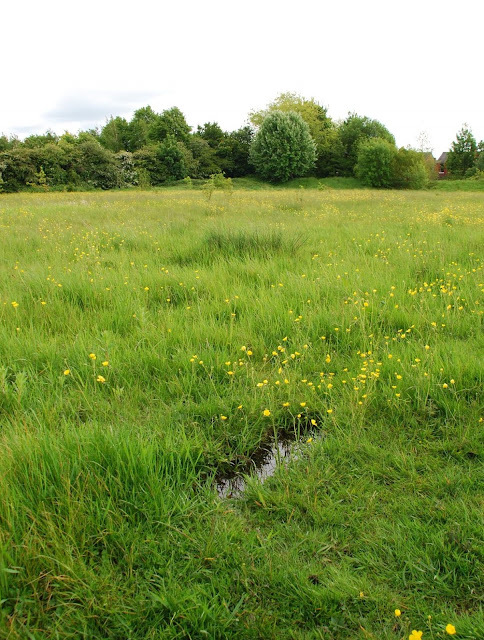 Certain areas of grassland displayed marshy, or acid tendencies, reflecting the diverse history of land use. Much of the site’s small woodland areas are surrounded by housing and contain a number of plant species which have escaped from residential gardens, including variegated yellow archangel (an invasive species listed on Schedule 9 of the Wildlife and Countryside Act 1981, as amended, in England and Wales). More interesting is the woodland on the fields’ Western border, where there are small stands of protected native bluebell, a possible relic from historic ancient woodlands on the site. Three mature trees have potential for roosting bats (Category 1 in accordance with Bat Conservation Trust Guidelines) and the network of habitats (woodland, grassland, scrub and tall ruderal herb) provide high quality foraging opportunities for bat species. A suspected fox earth was found on the site. Around 30 bird species have been found using the fields this Spring, including Whitethroat holding territory, and perhaps 3-4 pairs each of Blackcap and Chiffchaff. Tawny Owl is regular here and in adjacent Longford Park. Common Malachite Beetle Malachius bipustulatus on Buttercup at Ryebank (Photo: Chris Harrison). 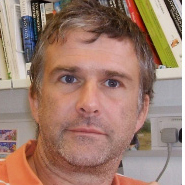 There is potential for improving the biodiversity value of the fields. 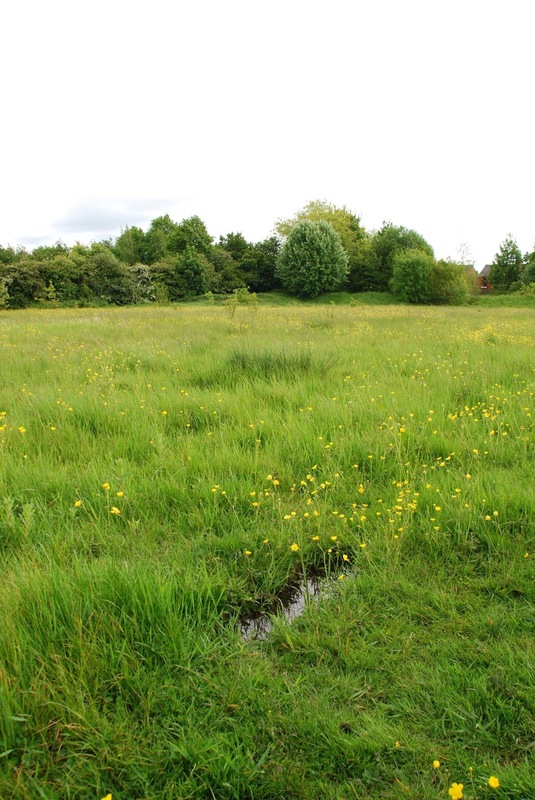 David Bishop, local botanist from Friends of Chorlton Meadows, suggested that taking out a hay crop in the late summer might be a good management, to reduce the fertility of the soil and in turn to promote a ‘healthier’ grassland plant community. There were also suggestions from TEP that a scrape or pond would be beneficial (smooth newts have been recorded in adjacent Longford Park) as there is little standing permanent water in this part of Chorlton. Even more intriguing is the possibility to create some ‘broken ground’ with rocks etc to form habitat for Common Lizard, a species of real conservation concern in UK. What have Bird's Nest Suppliers got to do with this? I too wd like to know.